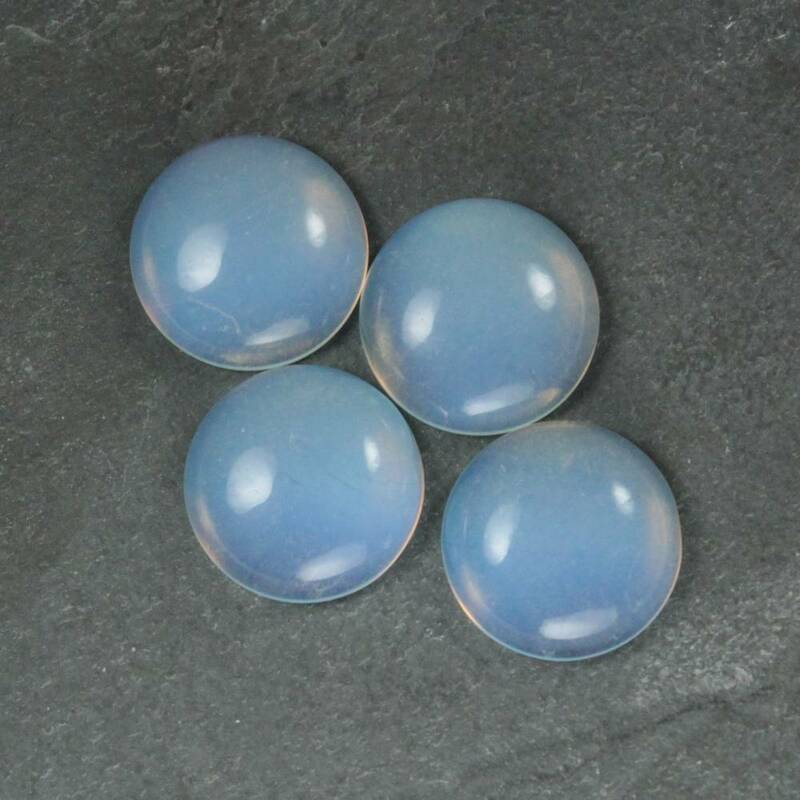 An interesting range of Opalite cabochons, sold in a few different sizes and shapes. 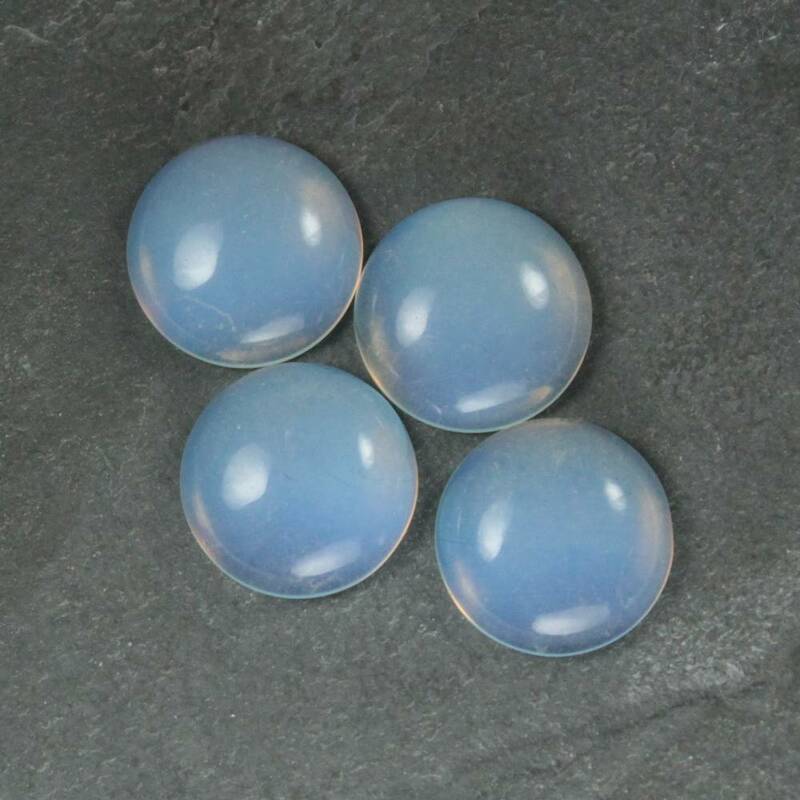 An interesting range of Opalite cabochons, sold in a few different sizes and shapes. 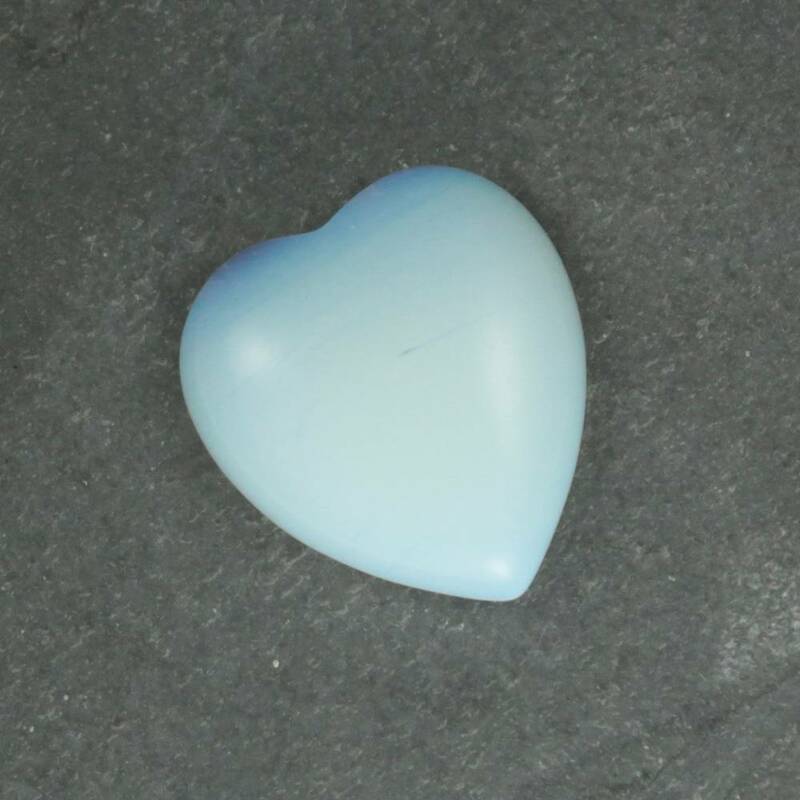 We currently sell heart shaped, oval, and round cabochons. We do not hold many of these stones in stock – and cannot order them in quickly. The lead time on orders is around 4 weeks! Please note, Opalite is a man made glass. Despite being milky, it is likely going to be see-through enough to show the back of any bezel cup through the glass. For more information about Opalite, and a full list of all of our related products, we suggest looking at our ‘Opalite’ page.